The life history strategy of sharks is very different from that of other commercially exploited fishes, and this makes them more vulnerable to overexploitation. Several species of sharks don’t reproduce until they are older than ten years old, and some only have a few young every other year (or in some cases, every three years). It’s easy to see how this inability to rapidly replace themselves could become an existential problem when modern industrial fishing techniques are involved. While few sharks are targeted for their flesh, which is considered unpalatable except for a few species, most species are targeted for their fins. The fins, which have absolutely no meat, flavor, or nutritional value whatsoever, are made into an Asian delicacy called shark fin soup. They provide only texture to the spiced chicken broth. While it is impossible to know exactly how many sharks are killed in this global, largely unregulated fishery, the best scientific estimates we have say that the number is as high as 73 million each year. Being targeted isn’t the only thing problem facing sharks-bycatch is another major threat to many shark species. Millions of sharks each year are killed by fishing gear simply because they are swimming near what fishermen are trying to catch- the ultimate example of being in the wrong place at the wrong time. Though few fisheries are blameless from a bycatch perspective, particular culprits include the shrimp trawling fishery, the tuna purse seine fishery, and the billfish longline fishery. Since sharks serve as apex predators in most marine ecosystems, their declines pose major troubles both to the environment and to the countless humans who depend on that environment for food and to make a living. The problem is a major one, and we need to solve it. It’s easy to become discouraged when considering the enormity of the problem, but we must not give up. We must focus on the goal, and work towards it! To paraphrase an old joke about my fellow Jews, if you ask three conservationists what their goal is, you’ll likely get four answers. This post is about my goal, which isn’t necessarily the goal of the entire ‘save the sharks’ movement. I expect that many of my conservationist friends will disagree with parts of it, and I look forward to a lively discussion. Sharks are being harvested (or killed accidentally as bycatch) at wildly unsustainable rates. This needs to stop, and sharks need some strong legal protections to ensure this. The form that these legal protections will take is the subject of much debate. A (very) few countries like Palau make fishing for sharks in any form illegal in their territorial waters. Hawaii now bans the selling, purchasing, or possession of shark fins within state boundaries. U.S. fisheries management policy presently makes it illegal to kill some species of shark and sets size limits on some other species. However, most countries have no legal protection at all for sharks, and the number of species with worldwide protection (at least on paper, since these are difficult to enforce in the middle of the ocean) can be counted on one hand. Though this may shock some of my readers, I do not think that global shark conservation policy needs to be as extreme as Palau’s “you can’t kill any sharks ever” law. I do not object to the sustainable harvest of sharks for food. Sustainably harvesting animals that have so few young so late in life is extremely difficult, and most times that it has been tried, the fishery has collapsed within a few decades. That doesn’t mean that it is impossible and it doesn’t mean that we should ban all shark fishing. However, for me to be satisfied, the world of commercial fishing is going to need to undergo some drastic changes. 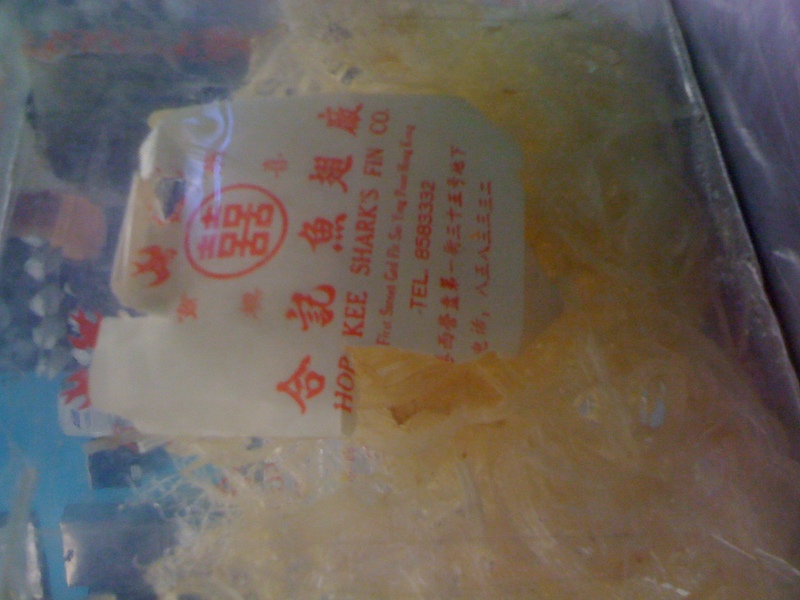 While I can accept sustainable fishing for some shark meat, I object to the shark fin soup fishery. In most parts of the world, this fishery is brutal, wasteful, and unsustainable. Sharks of any species and size have their fins cut off, and the rest of the animal is dumped overboard to bleed to death or drown- all to provide texture to a delicacy for the rich. The few countries that have shark finning regulations at all have different strategies to manage it. Some, like Canada, require that fishermen land the rest of the shark in addition to the fins (not attached to each other), and they enforce this by weighing total fins and total shark carcasses. This is silly, because different shark species can have a drastically different fin-to-body weight ratio. Other countries require that fishermen land sharks with the fins still attached, which is better and is starting to become the standard. I would feel differently about shark finning if it provided a staple food item for the world’s poor instead of a delicacy for the rich. 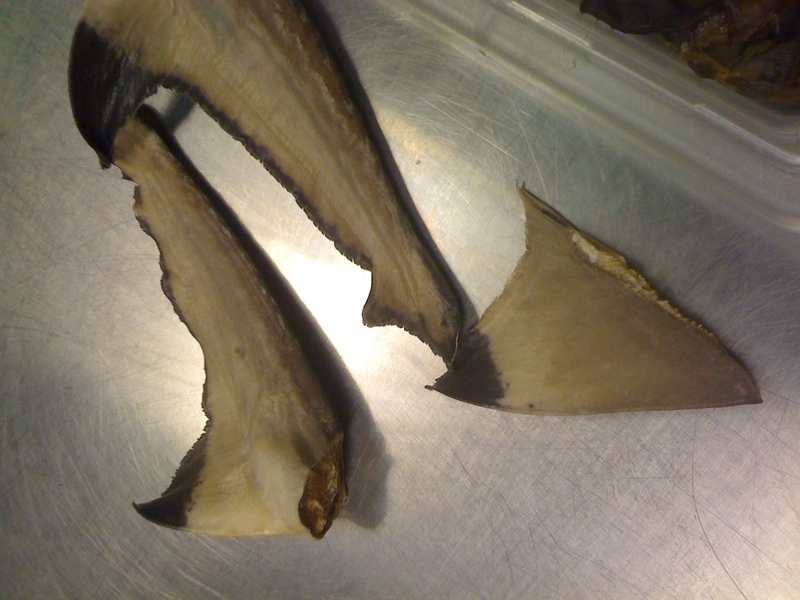 I would feel differently about shark finning if the shark’s meat was used, instead of just cartilage for texture. I would feel differently if fishermen targeted only certain species of a certain size instead of every shark they find. As it stands, though, my goal for the shark finning fishery is its complete abolition. Updated 7/8/12 To clarify, this personal opinion applies to fins that are provided to the market via the wasteful practice of finning. Fins that are provided to the marketplace via well-regulated comprehensive shark fisheries are a separate issue. The threat sharks face from bycatch is harder to regulate. In some cases, simple gear modifications can minimize the amount of sharks caught without greatly influencing the catch of target species. In other cases, simply placing gear in slightly different locations or depths can greatly reduce the number of sharks caught accidentally. Some of these changes have been made already, most have not been. Conservationists who fight for long-term large-scale goals should sometimes fight for easy fixes that will still make a lot of difference. My goal is for every single known and feasible bycatch reduction strategy to be implemented. This won’t eliminate bycatch, but it will reduce it significantly. Some fishing gear is so destructive (to sharks and many other ocean animals) that simple fixes just won’t help. In these cases, my goal is for that gear to be banned entirely. This is not unprecedented- the U.N. banned large drift nets almost 20 years ago because of the huge amount of bycatch they caused. While I don’t think that we need a global ban on shark fishing modeled after Palau’s policy, some small-scale areas where shark fishing is banned would be very helpful. Research performed on a marine protected area in Belize has shown that many species of shark remain in a small area for much of their lives, showing that a small region where shark fishing is illegal can have an effect. However, some species, like the Great White shark, can swim thousands of miles in a year and wouldn’t stay in a small protected area very long. Although they won’t help all shark species, marine protected areas will protect many. My goal is a large worldwide network of marine protected areas that protect sharks and other marine animals. The global commercial fisheries industry is at a crossroads. There are too many fisherman chasing too few fish, and overfishing is rampant. However, contrary to the claims and insinuations of some conservationists, fishermen are not evil people trying to destroy the environment. They are hardworking people who are just trying to provide for their families, and they are correct when the point out that most policies that will protect marine life will harm them financially. However, if nothing is done, there will be no fish to catch and fishermen will be harmed financially anyway. My goal is for there to be fewer commercial fishing vessels and a much lower global catch, and I am open to suggestions on how to help the fishermen that this policy would negatively impact. My goal is for an end to unsustainable shark fishing, a ban on the shark fin soup fishery, the implementation of bycatch reduction policies, a global network of marine protected areas, and some form of incentive or regulation to encourage fishermen to catch fewer fish overall. Some parts of this goal would be more effective for protecting sharks than others. Some are more achievable than others. I believe that all are worth fighting for. It’s easy to dream big and come up with impossible goals. It’s much harder to draw a realistic map showing how to get from where we are to where we want to be. Most of you reading this already don’t eat shark fin soup, and many of you don’t eat foods with high shark bycatch. That’s great, but while I have a pretty high opinion of myself, even I don’t believe that I reach enough people through my writing to make a difference in a major global issue. Not directly, at least. The key to achieving the goals of the shark conservation movement (and the conservation movement in general) is education. Maybe I’m too much of an optimist, but I fervently believe that sharks aren’t in trouble because no one cares what is happening to them. I believe that sharks are in trouble because no one knows that sharks are important to a healthy ecosystem, and no one knows that sharks are in trouble. The absolute best thing you can do is to learn about sharks and tell others. Tell your friends, tell your family, tell your classmates or tell your co-workers. Tell them that sharks matter, and tell them that sharks are in trouble. Tell them not to eat shark fin soup, and not to eat seafood with high shark bycatch. Tell them to support shark conservation legislation by calling their elected officials. What you should NOT do is support violent groups that claim to “fight for the sharks” through “direct action”. These groups are not only ineffective, but they are counterproductive to the cause of conservation. The conservation movement is a PR war, and we will win through facts and persuasive argument- NOT through trying to hurt people who disagree with us. Another common (and flawed) solution is to not eat seafood at all because of environmental concerns. If all of the people who care about the oceans stop eating seafood, it’s impossible for conservation-minded folks to “vote with their wallets” and support more environmentally friendly methods of catching fish. I instead recommend eating Marine Stewardship Council certified sustainable seafood. Graduate students such as myself lack the resources to donate significant amounts of money to conservation NGO’s, but if any readers are looking for my opinion on what NGO’s to trust, I have a few. Oceana doesn’t focus exclusively on sharks, but I love almost all of what they do. WildAid also has a broad focus, but their anti-finning campaigns are wonderful (they recruited Yao Ming, who is a huge celebrity in China, to be their spokesman). The Save Our Seas Foundation does a lot of inspiring work with educating children about the importance of sharks and other sea life. The Shark Research Institute is a small but great organization that focuses on both conservation and science. Sonja Fordham’s Shark Advocates International is a new organization, but Sonja is legendary within the shark conservation community and I know she’ll accomplish amazing things with SAI. If you are looking for a source for shark-themed gifts that help sharks, I have a few suggestions. Iemanya Oceanica’s “Adopt a Shark” program makes a good gift, and promotes shark research. The American Elasmobranch Society student store raises money for young shark scientists to do important research. My own Southern Fried Science store sells “Sharks Matter/No finning gear”, which raises money for the charities I’ve listed above. Many people claim that it’s too late to save the planet. I couldn’t disagree more. The problem is a big one. The goals are difficult, but they are achievable in some form. Now that you know what to do, get to it. To paraphrase a famous Donella Meadows quote, we have exactly enough time to save sharks and save our oceans… starting now. This is a compilation of my three posts from the 2010 Oceans4Ever Summer SharkTakular. The originals and their comments can be found here: (the problem, the goal, and how to get there). Brilliant post. The trouble is that while richer countries are in a better position to ban shark fishing, those in the far east and Caribbean will argue that finning is vital for their economy, and unless there is international pressure at the highest level, it is difficult to envision a future with an outright ban. Shark Week does not help. Of course it piques people’s interest in sharks, but almost every programme takes a sensationalist approach on how dangerous sharks are to humans. a. The totality of resources available for Shark research and Shark conservation is finite. It’s a zero sum game whereby everything we invest into one project comes at the cost to another project. We must prioritize and always ask ourselves whether there are better, i.e. more efficient and more effective alternatives. b. With that in mind, and barring the big intractable gorillas like population growth, growth of individual ecological footprints, climate change and ocean acidification: education is certainly the long-term solution. But the problem of declining Shark populations is a terribly urgent one and right now, we need to focus our resources on conservation-oriented research, on enacting and enforcing pro-Shark legislation and on establishing MPAs. I just want to say that i think you’re doing a great job. This is a very easy read post that gives a good introduction to people who don’t know so much about this issue. You giva me a lot of inspiration and i hope and believe (maybe i’m an optimist aswell) that when people realize how serious the situation is, they will start doing something about it. So keep on spreading the word, i know i will. Great post David. I agree with all of your points except the seafood one. I have recently given up seafood for environmental reasons, and I think that by not eating seafood, as a conservationist–I am still voting by not spending. The problem is that too many people are obsessed with their seafood. If people like it, they’ll eat it. Nice meals-like steaks, tuna, sushi–these are all “treats” that people savor. Not to mention the trendy attitude towards sushi. While I believe that the Seafood Watch and other sustainable seafood programs have had some success–it is almost impossible to quantify their efficacy. Where is the data from restaurants showing the decrease in guests ordering bluefin tuna? Its a trust-based model. There is almost no way of knowing how the fish on your plate was caught, and what else was caught accidentally with it. Even if a restaurant claims that methods were sustainable–why should you believe this? The problem is massive, the obsession with seafood pervasive throughout the world. I wanted to be a part of the solution, not the problem, so I gave it up entirely. I do not tell people to not eat seafood and force my views on them. Rather, I tell them to choose sustainable fish, while educating people about what is really at stake and I have found that people seem to be enlightened by this method. Your link to vote for U of Fla shark program leads to a site (Pepsi) that does not allow people to sign up. What link are you referencing? There is no such link anywhere in this post. There is in another post, and that link worked when I just tried it. I don’t know why you’re commenting here, though. Just chose which seafood to eat. In South Africa we have a pocket guide drawn up by the WWF that lists fish in 3 categories – green, orange or red – depending on their status. A lot of restaurants are signed up and we have to trust that they abide with the recommendations. http://www.wwf.org.za/what_we_do/marine/sustainable_fisheries/index.cfm I know there is a similar program in place in the USA. I could not agree more with you, David. Shark (and really elasmobranchs as a whole) conservation is in dire need of attention right now. I, along with my fellow grad students at the University of West Florida, have been vigilant in trying to engage our community in these issues. We’ve held several fundraising events to not only educate the public, but to donate anything we can put together to conservation societies. It’s an uphill battle, that’s for sure, but I believe it’s worth the fight if the end result is a sustainable fishery for sharks, rays, and skates. While I will never eat a shark, ray, or skate, I have many friends who are fisheries biologists and/or fishermen, and I understand their side of the issue. Sustainable fishing is the only solution I can see that accomodates both sides. Education is a key component to any conservation success story, especially when trying to convince the general public that sharks are not out to get us. But the biggest problem I find is truly convincing people (without going into so much science that their heads start spinning) that elasmobranchs matter, that they serve some ecological purpose, without which the world can not go on. I am interested to know how you feel on this, David. The most common reason I hear is that sharks are the ocean’s apex predator, and without them the trophic levels below them become unstable, but if you think about it there are many, many apex predators in the ocean (e.g. billfishes, large schooling fishes such as tuna, Odontocete cetaceans, just to name a few). Another point to add is that not all sharks are “apex” predators, and in fact their expansion into nearly every ecological aquatic niche makes them suitable for just about every lifestyle, from pelagic predator to filter feeder to bottom feeder to parasite. So the apex predator explanation for why sharks matter is only covering a limited proportion of all shark species. So here is the question I pose to you: Why do sharks matter? Beyond the apex predator schtick that I can get from anyone who has watched Shark Week? I ask only to inspire lively debate. I am an active scientist/advocate in the field of elasmobranchs, and I wholeheartedly believe that sharks matter to the well-being of this world. I am simply looking for something more than the scratch on the surface. Great post, I pretty much agree with all you are saying. Only one thing – you make reference to “violent groups” who oppose shark finning? Which groups are you referring to and what acts of violence have taken place? Note that I’ve included this post also in the latest Scientia Pro Publica carnival now up over on my blog. Do drop by when you have a moment. I agree completely with the goals you have outlined above, however I have trouble maintaining your optimism. I fully support science and education based conservation movements, and agree that siding with the more violence-prone groups does more harm than good. But the problem I have is that our (speaking as a graduate student working with sharks and a would-be conservationist) message of education is being willfully ignored by those with the power to administer change. The best example is one that hits close to home. I’m Canadian, and one of the more common sharks we get in my area (East Coast) is the porbeagle. An active fishery decimated the Northwest Atlantic stocks to the point that recent estimates put the population at 12-15% of what is was 50 years ago. COSEWIC (Committee On the Status of Endangered Wildlife in Canada) an independent scientific advisory board, has been petitioning my federal government to list this species under our Species at Risk Act since the early 90’s and has been continuously ignored. A listing would eliminate the small commercial fishery that still exists, even though a cost-benefit analysis was performed and stated that the overall loss would be minimal. So, given an opportunity to protect a species that has been scientifically determined to be on the brink for decades, the powers that be decided to keep fishing because there is still money to be had. Now, to be fair, the fishery is monitored, and a TAC has been established as sustainable (albeit at a fraction of what is was when the fishery opened). My point is that this is always going to be the case, that no matter how much we educate, sooner or later we will have to fight against those who stand to lose financially. Unfortunately, these people are often those who decide the final outcome of all our hard work. The kind of changes we need take time. Time to raise the issue, garner support, push into effect, structure, and enforce. It is not a cliche to say that any shark conservationist is in a race against time, and I think its going to be close. Oh, at the last CITES meeting, the Porbeagle was rejected as a candidate.